Charge & sync up to 16 devices at the same time. Fast and efficient charging for each device. Charge and sync up to 16 USB devices at the same time. 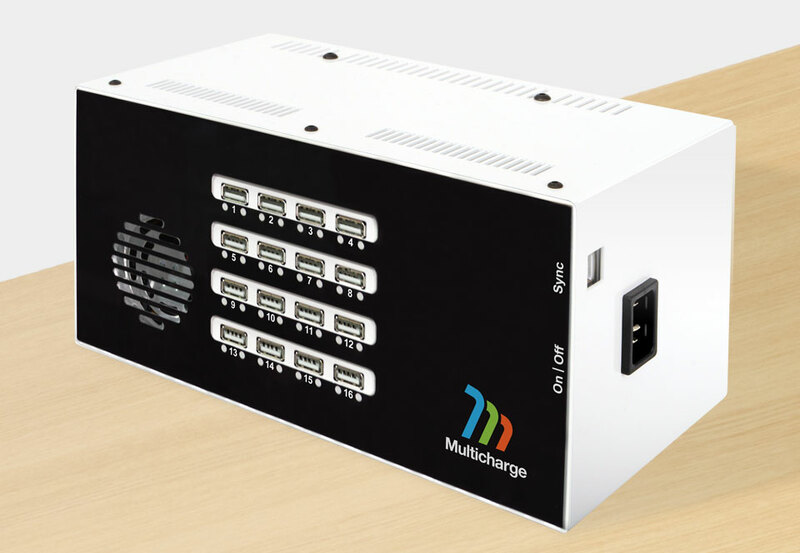 From iPads, iPods and tablet PCs to smart phones, e-readers, GoPro cameras and more, the Multicharge 1600D will simultaneously charge up to 16 USB-chargeable devices in any combination, whether they are all the same device, or all different. Optimal charging ensures that your connected devices receive the correct voltage at the optimum rate for each device, charging them in the quickest time according to the manufacturer's specification. Just like individually plugging each one into a wall socket. 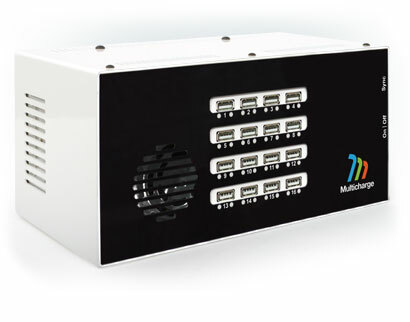 The Multicharge 1600D will also let you sync devices capable of being synced - great if you need to manage multiple devices such as the Apple iPad or other iOS, Android or Windows devices. 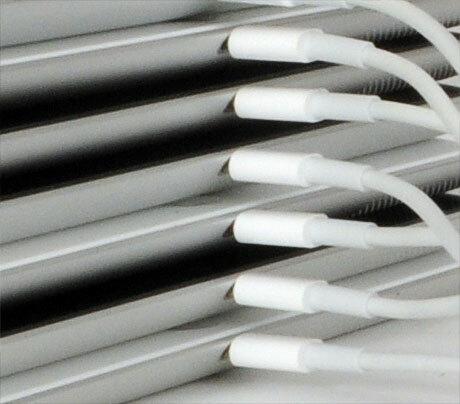 Just connect your Mac or PC to the charger unit, and your connected gadgets will be ready to sync. Fully compatible with iTunes, Apple Configurator and other syncing solutions. With Cambrionix technology inside, the Multicharge 1600D allows most recent devices to charge and sync at the same time, meaning you can leave devices to sync overnight or for long periods of time without worrying about the devices not being fully charged in the morning. 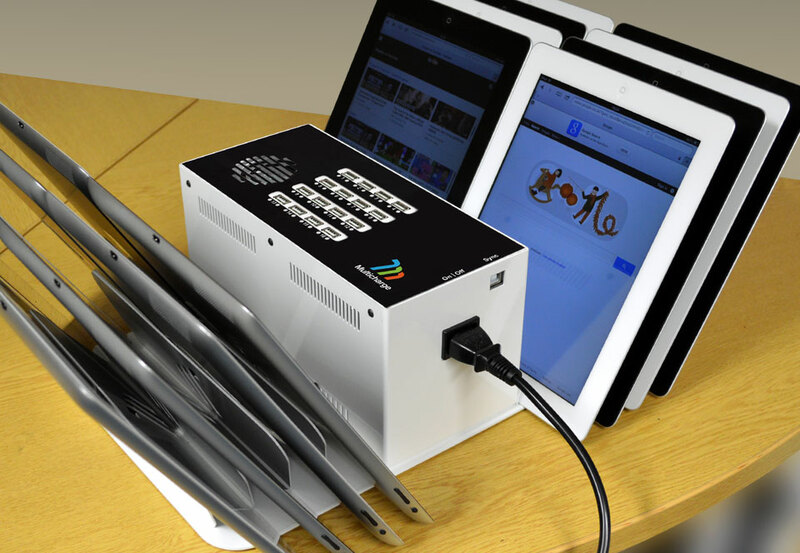 Compatible with any USB-chargeable device, the Multicharge 1600D is a universal desktop hub that lets you charge, sync and manage multiple iPads, tablet PCs, smartphones, digital cameras, e-readers and more. 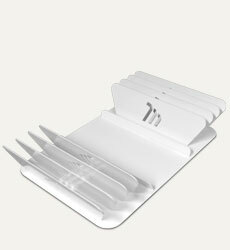 Charge up to 16 devices of the same type, or any combination of different devices - it's entirely up to you. 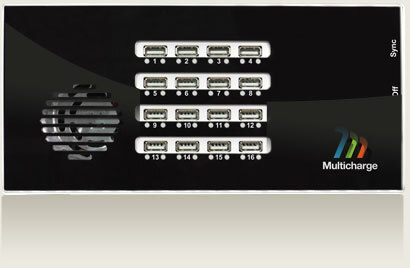 As long as they are capable of being charged by USB, the Multicharge 1600D will charge them all. Easy to set up, easy to use. 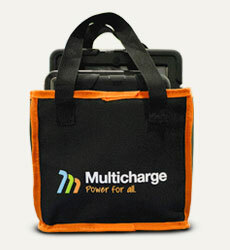 The durable and user-friendly Multicharge 1600D arrives fully assembled - just plug it in to a power socket and you are ready to go! The Multicharge 1600D is a solid desktop device with rubber feet to prevent it from sliding on any surface. 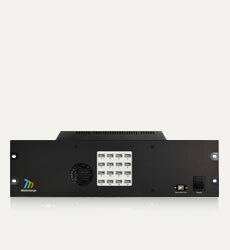 Can be mounted inside an existing case, cabinet or enclosure to be stored and transported along with all your devices.